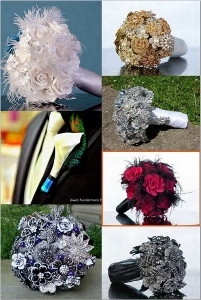 Would you like to reach the brides and grooms that visit our blog? Are you looking for advertising at an affordable rate? Perfect timing! We are offering annual ads on our blog at low introductory prices! If you are looking for a sponsored post, our introductory rate is only $75 for a feature about your shop/business, including an introduction about your shop, an interview with you, photos of your creations…and a medium ad! It will be promoted on the WedEclectic Blog, Facebook page (100+ likes) and Twitter account (500+ followers). Please contact Jennifer at ClayBouquetShop at gmail dot com to discuss your ad campaign!